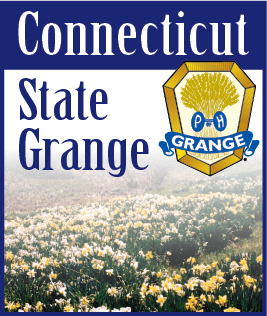 This month the state judging for needlework, crafts and baking will take place at Hillstown Grange #87 in East Hartford on July 30. Our “Harvest of Handicrafts” will also include the State Junior contests. (Please check with the State Director). With all the smart phones and GPS devices, I’m confident everyone should be able to locate the hall on 617 Hills St. Judging starts at 11:00 A.M. The hall be open at 9:00 to receive entries. Everyone is welcome to watch the judges as they deliberate who the winners will be. Sunday starting at 11:00 A.M., the Junior Grange will host a picnic style luncheon of hamburgers, hot dogs, corn on the cob, salads and much more. All the proceeds of the lunch will benefit Junior Grange activities throughout the state. The needlework, craft, baking and Junior contest entries will be on display. We look forward to seeing you there.